Most probably the nicest 387 m² villa and 60 m² bungalow rentals in Zanzibar, in a huge 1 hectare private, peaceful beach-front property. No sharing at all, FULL PRIVACY ONLY. 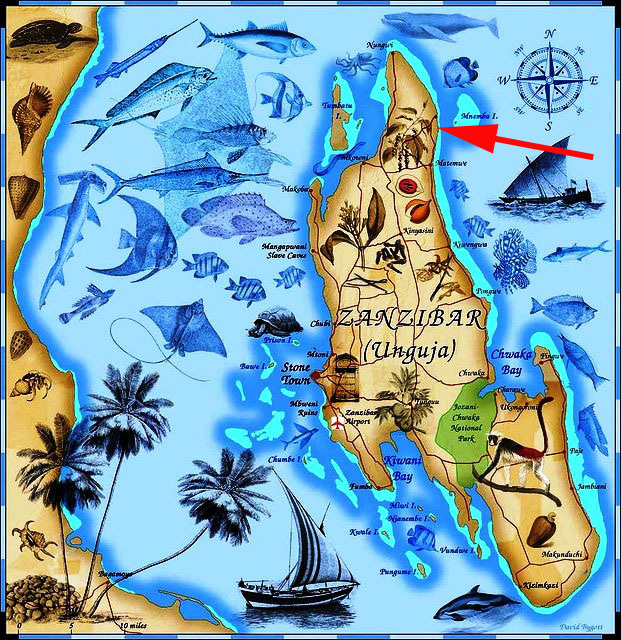 You cannot find a nicer property for rent in Zanzibar. 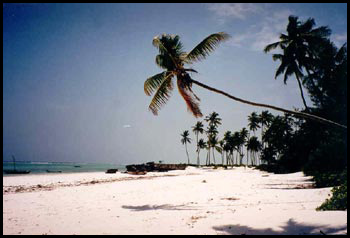 One bungalow and one beach villa for rent in Zanzibar in a one hectare (acres 2,47) property. No shared residence, no neighbours, no vicinity to bear. Just a peaceful spot with a sandy beach, plus a large natural garden. Two stylish houses to let in Zanzibar for dictinctive guests. Full privacy for discerning guests in our full-service holiday rentals in Zanzibar. The villa and the bungalow for rent in Zanzibar are not to be shared with tourists. In our private beach in Zanzibar, we build only one 387 m² villa and one 60 m² bungalow for your full privacy in the nature. The nicest vacation rentals in Zanzibar.